In a twinkling of an eye our bodies changed as we met Jesus in the air. We put on the armor of war. Descending from the sky with the Lord’s holy myriads to tread the winepress of God’s anger. Bodies covered Mount Meggido, in pools of blood in the valley of Armageddon. A voice called out to the birds, “Come…eat the flesh of kings…of small and great”. The 666 Beast was captured, and with him the false prophet. Suddenly I awoke in this parallel world. Cast back into time to the beginning of the end. I’m here to tell the story, how it all went down. Only time will tell if events in my universe are the same in yours. The Raëlians couldn’t have been more wrong about the “Designers”, or their plans for us. The Raëlians promised extraterrestrials would come, claiming to be the Designers our Creators. 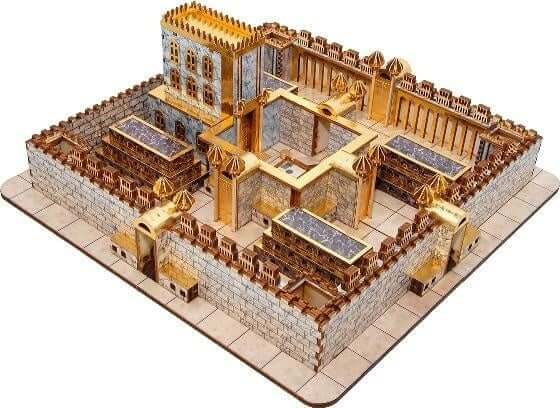 Jerusalem would become their base once a Third Temple was built according to their exact specifications, a welcome mat. Embassy for Intergalatic Relations, world leaders gathered there under the watchful eyes of the Elohim Creators. The world thankful for the peace and safety they promised (1 Th. 5:3). Defiantly we called their “new Jerusalem” “Sodom and Egypt like that great city Babylon”. 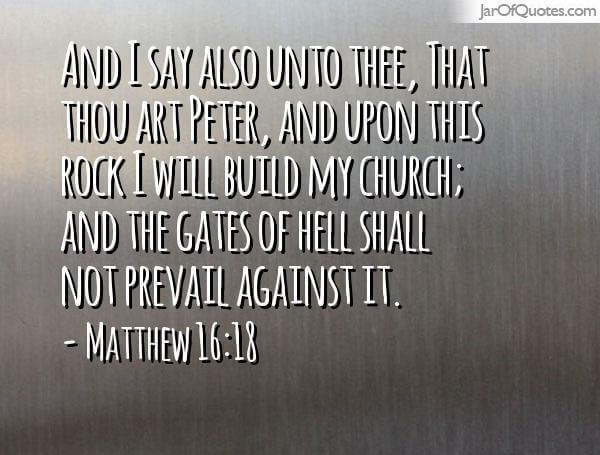 Every prophet on earth whose tongue really was channeling a spirit preached this “other Jesus” (2Cor. 11:4. 1Tim. 4:1. 1Jn. 4:1. 1 Kings 22:22-23. Mt. 7:22-23), praising the “Creators” bringing in the New Age, the “Kingdom of God”. “Scientific Atheism” was the Religion of the New World Order. The Word of God clearly warned us, identifying his exact name. In a Riddle John alluded to it precisely, saying it was the name of the man whose number is 666. The 666 Beast would do all these horrible things. But our scholars were blind to it, like a shiny object swinging before their eyes Gematria hypnotized them so they could not see. Only those with Biblical wisdom, only those understanding everything Scripture says is 100% correct, can solve John’s riddle. Bible riddles are solved by interpreting double entendre. Clearly John accepted both verses are true, and that requires both Father and Son are named “Adonikam”. From that came the double entendre the skillful thinker having the understanding to believe his Bible could easily solve. 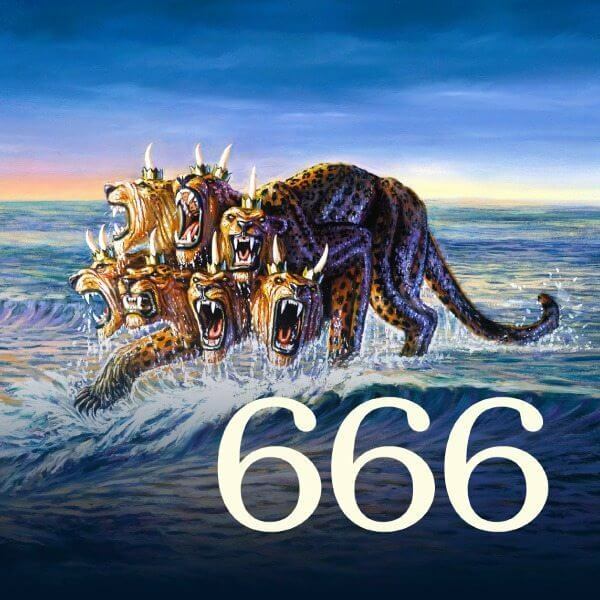 667-1= 666 which is the number of the Beast, 666 points to the same man with the same name “Adonikam”. For example, Samson’s riddle which the Philistines accepted as a fair challenge (Jdg. 14:15). Bees swarm and make honey in almost any cavity in rocks, trees even skeletal remains. “The word “lion” in Hebrew (ʾarî) is almost identical to an Arabic word for “honey” (ʾary).-Wolf, H. (1992). Judges. In F. E. Gaebelein (Ed. ), The Expositor’s Bible Commentary: Deuteronomy, Joshua, Judges, Ruth, 1 &amp; 2 Samuel (Vol. 3, p. 468). Grand Rapids, MI: Zondervan Publishing House. “Eater” in Hebrew denotes eating with “extreme violence” (0398 אָכַל ‘akal Num. 23:24; 1 Ki. 13:28). Therefore, a strong (05794 עַז `az) eater metaphorically is a mighty lion, and the irony of taking food from its mouth another clue. Therefore, the double entendre points to “lion” and “honey” as the solution to Samson’s riddle (Jdg. 14:18). Since the LXX normally uses σοφία/σοφός for the Hbr. stem חכם, in essentials this alone need be considered…It is worth noting that in the historical books the words mostly denote technical or artistic ability or cleverness and knowledge such as the wisdom of Solomon.-Wilckens, U., & Fohrer, G. (1964–). σοφία, σοφός, σοφίζω. G. Kittel, G. W. Bromiley, & G. Friedrich (Eds. ), Theological dictionary of the New Testament (electronic ed., Vol. 7, p. 476). Grand Rapids, MI: Eerdmans. ② to probe a number for its meaning, interpret, figure out τὸν ἀριθμὸν τοῦ θηρίου Rv 13:18.- TW.-Arndt, W., Danker, F. W., Bauer, W., & Gingrich, F. W. (2000). A Greek-English Lexicon of the New Testament and other Early Christian literature (3rd ed., p. 1098). Chicago: University of Chicago Press. Whenever scripture posits contrary or apparent contradiction, I default to accepting both as 100% correct and petition God in prayer for understanding. Never has He failed to reconcile the apparent contradiction, in a critically sound solution true to both propositions. Never. Now you know the secret to understanding dark sayings.